Fits well, feels good in the water - both ocean and pool (chlorine). Should hopefully last awhile. This pair of jammers are great!!! not only because they are light and fast...but also because they last!! I've used mine for 6 months now and I'm swimming 3-5 Kilometers a week. good job TYR! I bought my tri shorts at then end of June thinking I would get them by my race on July 9th. UPS has YET to deliver them! Q: What is the inseam on this jammer? A: The TYReco Jammer features a 10-Inch base inseam and grades slightly up or down with the size. Q: Does this have a liner? A: The swimsuit is lined to combat transparency concerns. A: Thank you for your inquiry. Unfortunately we do not offer Jammers in size 3XL. Q: what is the thickness on this suit? 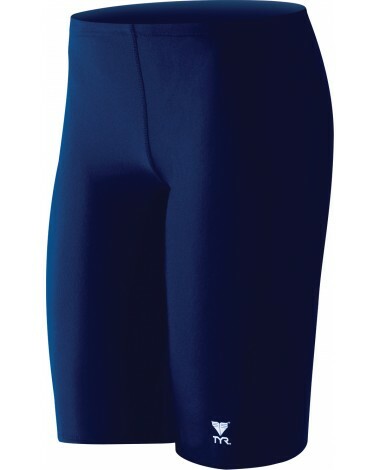 A: The TYReco Jammer is consctucted with light weight swim fabric and measures .5 MM in thickness. Q: Is the waist of this suit designed to sit 1) at the waist? 2) just below the waist? or 3) two to three inches below the waist? My son tried on one and the waistline fell three to four inches below the natural waistline. The store clerk insisted the suit was "cut this way" --- I was somewhat dubious. Also does the suit come to just above the knee and not three inches above the knee? I felt the store clerk just wanted to make a sale and was not interested in finding the best fit for my child. A: Thank you for your inquiry. 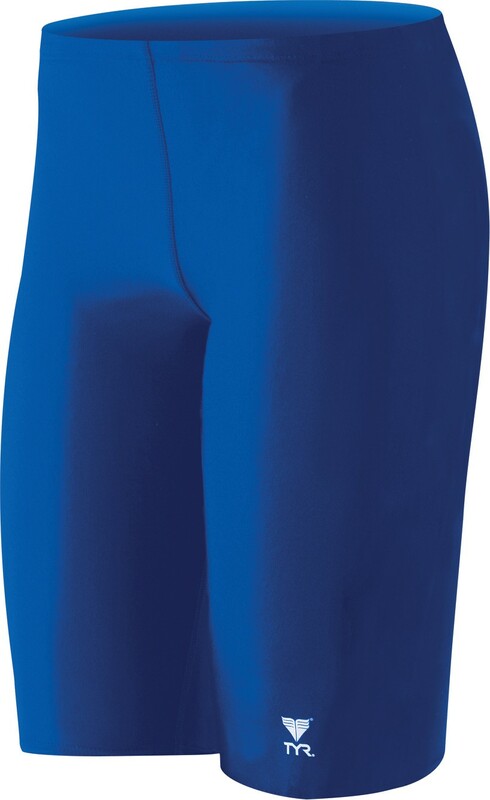 Jammers are designed to sit at the waist, but some swimmers will certainly wear it lower. In accordance with FINA rules, suits cannot go below the knee. Depending on where the swimmer wears the suit will dictate the amount of coverage on the leg. In essence it is a swimmer's choice, but by design, the suit will sit at the waist and above the knee. Durable, sleek and Eco-Friendly, The TYReco Jammer is a triple threat. This “green” swimsuit is constructed with Xtra Life Lycra and Recycled Nylon to provide a long-lasting fit that resists chlorine 5-10x longer than traditional spandex.